Dragon Medical for Mac Version 5 is a fast and accurate speech recognition solution that enables clinicians to quickly capture comprehensive clinical documentation while spending more time on what matters – their patients. Dragon for Mac Medical is a flexible speech recognition solution that enables the clinician to quickly capture comprehensive clinical documentation while spending more time on what matters – their patients. Dragon for Mac Medical streamlines documentation workflow by allowing clinicians to dictate appointment and medical record notes directly into their EHR, such as MacPractice, version 5, as well as easily turn speech into text. In addition, clinicians can dictate and edit documents, or control their Mac all by voice within popular web, email and desktop applications such as Microsoft Word 2016 or Gmail. Dragon for Mac Medical’s accurate speech recognition adapts to the user’s voice and words, with customizable vocabulary and commands and an easy-to-use interface. Spend less time typing and more time with patients to improve patient satisfaction, practice volume and profitability. Dictate 3x faster than typing, with up to 99% accuracy. Make fewer edits and get more work done. 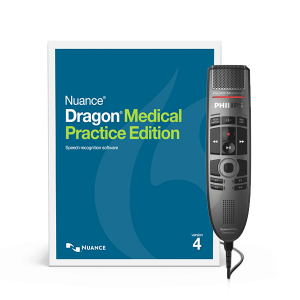 Enhanced speech engine with sophisticated acoustic and language models ensures Dragon for Mac Medical quickly and accurately captures specific medical terminology. Vocabularies covering more than 90 medical specialties and subspecialties, ensure proper clinical documentation. Dragon for Mac Medical adapts to the user’s voice and words to deliver better recognition results over time. Use your voice to create and edit both appointments and medical record notes directly into EHR and other applications, improving productivity and quality. 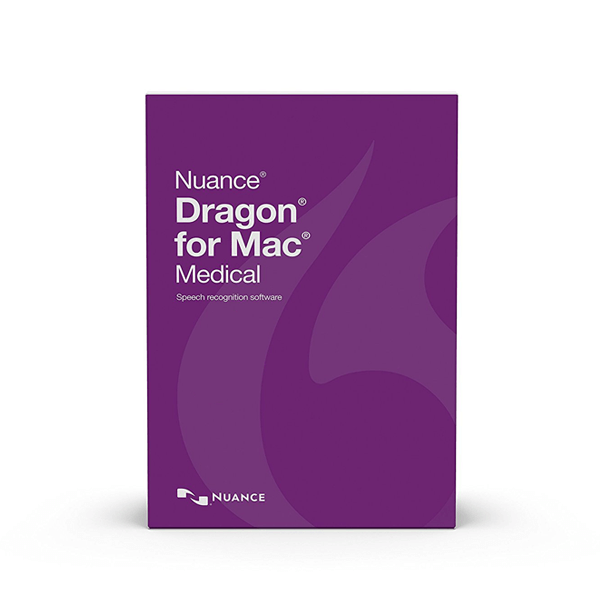 Although Dragon for Mac Medical works with virtually any EHR, it fully supports MacPractice, version 5 for direct text control and dictation for a complete user experience on the Mac. Accurately dictate and edit documents, or control your Mac all by voice within popular web, email and desktop applications such as Microsoft Word 2016 or Gmail. Easily create custom word lists and macros for frequently used text, giving you the flexibility to customize Dragon for Mac Medical for the way you work. In addition, you can import and export your custom word lists. Quickly and easily create custom voice commands to insert frequently-used text. Save significant time when speaking a simple command to generate the full text of a standard reply, a signature block, or other boilerplates. Automate business processes with time-saving workflows. Create AppleScripts, Automator Workflows, or shell scripts and let Dragon for Mac Medical activate them by voice – automate simple workflows or multi-step business processes via simple voice commands. Capture thoughts while they are still fresh – anywhere, anytime – to produce detailed, high-quality medical notes. Great for busy, on-the-go clinicians. 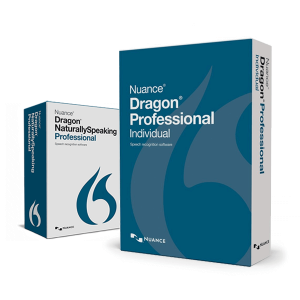 Easily transform your dictation into text by using a Nuance-approved digital voice recorder or the free Dragon Recorder app to capture high-quality audio files using an Apple iPhone, iPad or iPod touch (4th gen and up). Accurately transcribe a prerecorded audio file or podcast of a single speaker’s voice with the same accuracy for medical terminology as when processing your own voice. Easily proofread medical documents with the Text-to-Speech feature which enables Dragon for Mac Medical to read back your text. Microphones built into all MacBook, MacBook Air, MacBook Pro, and iMac computers: Dictate documents and speak commands directly into your Mac without using a headset for optimal flexibility and convenience. Wireless Bluetooth mic: Use a Nuance-certified Bluetooth headset microphone for outstanding wireless performance and the freedom to move while working on your computer. Dragon for Mac Medical makes it easy to get started with speech recognition and to become proficient quickly with regular use. It’s also simple to explore more advanced features that can boost your productivity even further. Fast, easy set-up has you using speech recognition in no time. Helpful tutorials make it easy to become productive right away. 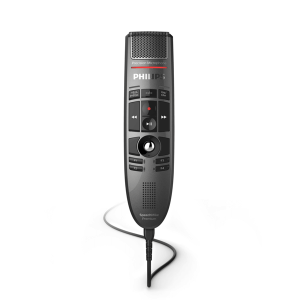 An intuitive design provides easy access to a rich and powerful feature set for ever-increasing productivity gains. Additional help with in-context guidance at any time, gives not only on-the-spot hints but also helps you to learn essential commands over time. Provide richer patient details with greater accuracy, faster than with an EHR system alone. Faster, more accurate response reduces documentation time and allows clinicians to see more patients, increasing practice revenue and profitability. 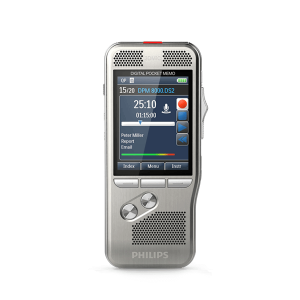 Helps maintain HIPAA patient confidentiality, a critical requirement for any practice, by encrypting and keeping all information relevant to dictation services encrypted and on the local machine.